I will create manually 30 socialmedia profile for your website. 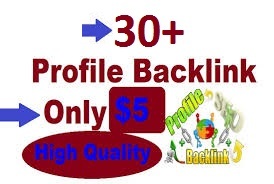 I Give you manually 30 social profile backlink is ranked 5 out of 5. Based on 2 user reviews.